Leading Australian business technology solutions company ASP Microcomputers introduces a new mobility software designed to integrate with enterprise resource planning and warehouse management software systems. Easy to deploy and maintain, ASPluris is a mobility suite of modular solutions that provides a robust and cost-effective real-time mobility link to existing ERP/WMS systems. 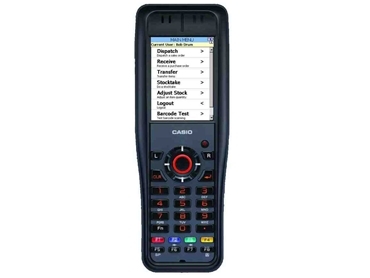 Using web services and rugged portable barcode terminals, ASPluris provides advanced distribution and logistics, inventory and stocktake, field service, job costing and manufacturing functionalities. The platform-agnostic ASPluris allows integration into most ERP/WMS systems. ASPluris software is suitable for use in diverse sectors including Warehouse and Logistics, Manufacturing, Third Party Logistics (3PL), Health and Supply Chain, or wherever inventory management is needed. ASP's Director of Marketing and Sales Robert Kogoi expressed the company’s confidence that ASPluris will provide productivity and efficiency gains for any organisation looking to extend their ERP/WMS systems with mobility. ASPluris was designed and developed in Australia by ASP Microcomputers.